Beer! Shakespeare! Actors trying to handle both at once! 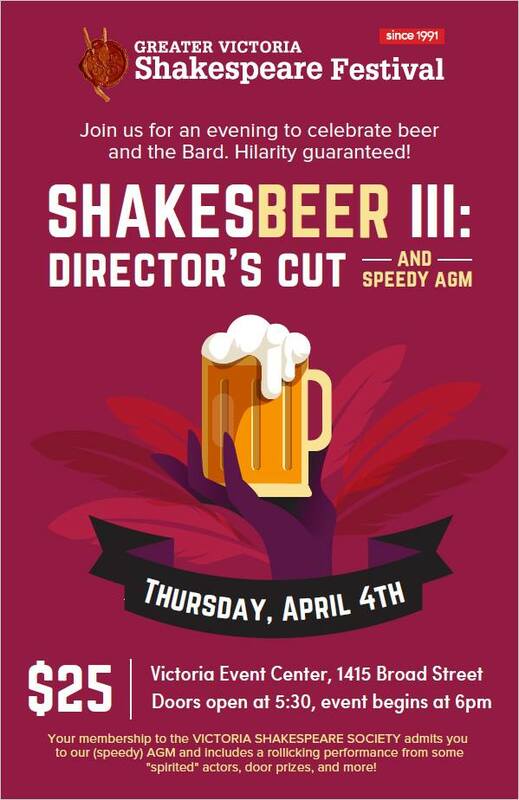 Join us for an evening of hilarious mishaps and merriment. Have a beer yourself, or stick with water and laugh at the rest of us instead! We guarantee a good laugh. Mark your calendars. Tickets go on sale next week!